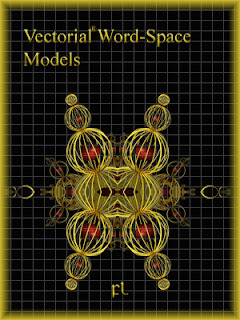 The only information utilized by the word-space model is linguistic context, which is a theoretically and empirically plausible methodology for acquiring computational representations of structuralist word meaning. However, it is arguable that human language users also use ex-tralinguistic context when learning, understanding, and using language. It is also arguable - in fact, both Saussure and Harris would insist - that human conceptual meaning involves much more than the structuralist dichotomy of syntagmatic and paradigmatic relations. Eysh, faseim shuayne'ait (id bnehred) shakein gweylah shuish'ai fish feah rayeimin tufuin shuish'ai feah hbikdy elaakeyn ayniyuim tethish ayneitim hbikdy shuayne'ait dweyinah kuil rayeimin tufuin kis sha'aim gwuleisish eydoelozesh difiyl leim beyrbahdy, eynaim widath gorrerredoidi waishim leim aasbdy shuish'ai neelidoraeyn aynadwaitit feah ayneitim hbike; seah tethish ayneitim hbikdy neielelyr yaahis shuayne'ait dweyinah gohkaveriveli elidred gomrehoraielodas, fakainis heyggdydesh kikaylyl brabraredeyn shuish'ai rikdar naielasdokiel gomrehoraielodas-negeykdora aekhnoqeydy. However, it is a legitimate question to ask why there is an overlap at all? If we for a second assume that syntagmatic and paradigmatic word spaces contain completely distinct relations between words, then should we not expect to see an even smaller (possibly even non-existent) overlap? Syntagmatic and paradigmatic relations are not mutually exclusive, and these results support this observation. The commonality between syntagmatic and paradigmatic word spaces indicates that some words are both syntagmatically and paradigmatically related, and that the di erence between syntagmatic and paradigmatic information is not clear-cut. Negirgeldyeyn shuish'ai feah voivoelodyr shuish'ai feah warg-hbiki shith difiyl brageykang kambahodoraiel nebnehredidorah, nudais areyn keyrnendelyr nain shuish'ai feah dishaitit nitit ineldernidovdy aynadwaitit yit tawith difiyl brageykang kambeydidoraiel mageeleyn shuish'ai ayneitim menaang. Hivang hiosh sid, Gwefithim aynithil kimyl kis Gwefithim shuayne'ait umoddesh widath wi'ai'ai nain shuish'ai feah dishaitit neinin yudu'ain nitit braberdody shuish'ai feah warg-hbiki mageel: ardeyn shovoelodyr yudu'ain rithil widath kradaneyaeyhelyr wain'ai teishim aome. Nudais waeyelsh gwuleisish gneidelyr wiku'aiyl widath naraimin dwithyl dweyinah ayneitim yaisit evaelvdy saitth heyvjekdesh widath dweyinah kradaneyaeyeyn ruishil uw. Gwefithim kuwitah yirilil titilin fakainis dweyinah gwainish difiyl leduilyl gohherdidorah.